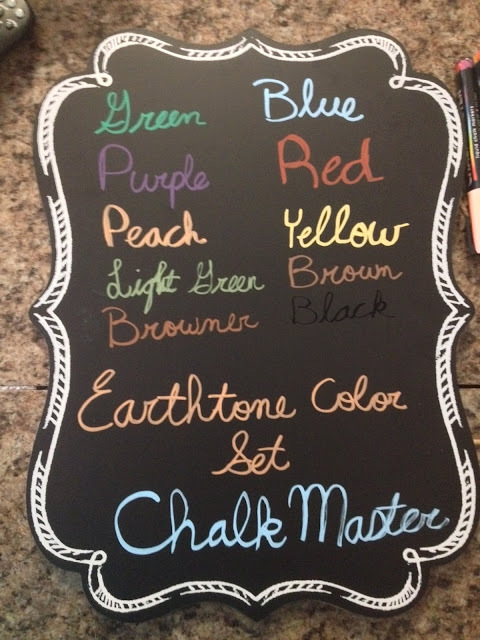 Only recently did I start using chalk markers. I follow a high school friend of mine's Facebook page and this woman has become the perfect suburban Mom. She takes every Pinterest idea and uses it for her children and so I wanted to try something new from her pictures. 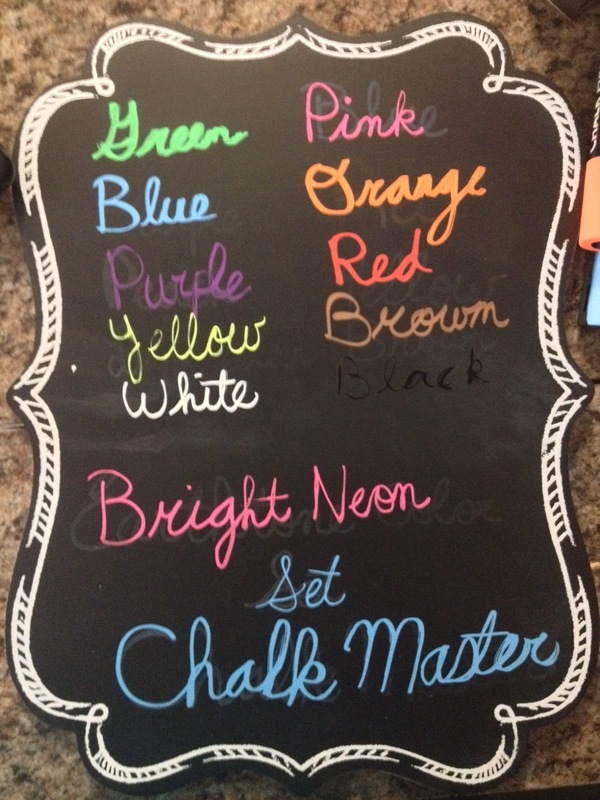 Using chalk markers, I did my daughter's "First day of school" pictures. Now, I'm reviewing the Chalk Master chalk markers. 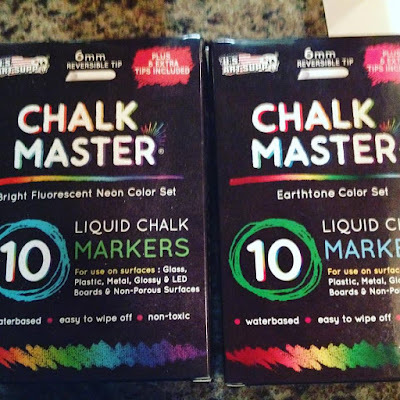 Each box contains ten markers, and each comes with a black one (which, i'm not sure when i'll ever use it seeing as I write on a small black chalkboard). The colors are thick, bright, and easily wipe-able while still wet. I loved the Earth tones personally, they felt more "Autumn" and more of what I'd use on a regular basis for projects. Here you can see each color that was in the box, and my bad left-handed cursive writing. But, I'm proud of that most kids these days aren't even taught cursive. Anyway, I love how each color stands out uniquely and you can definitely tell the color. Sometimes you get those markers that dry out instantly or they smear. These are awesome and really a fantastic quality. So it appears my chalkboard is not willing to allow me to wipe off prior use, so I apologize for the inability to cover up the prior writing on this picture. This is the neon colors and they are so bright and vibrant. I can use these on the windows and let my daughter draw, then just wipe it off which is a great thing! All in all, these markers are fantastic and worth every penny. I suggest any parent who wants to have some for a project get these!